Visual Studio Code>Programming Languages>LBNFNew to Visual Studio Code? Get it now. 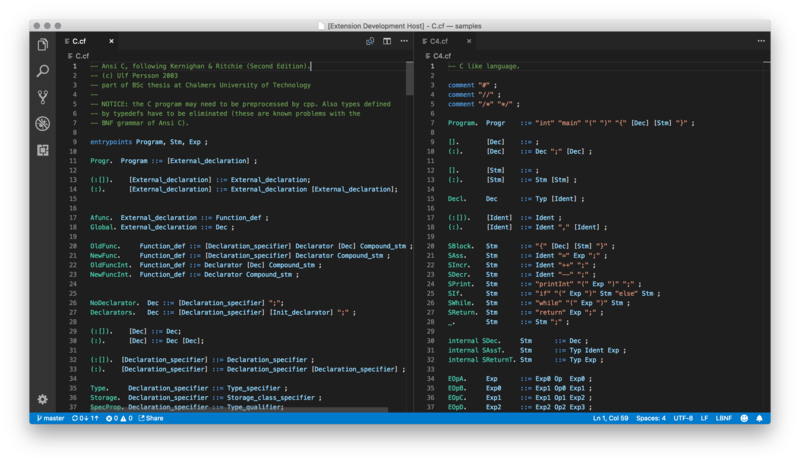 An extension for VS Code which provides support for the LBNF language. LBNF is acronym for Labelled BNF, which is the language used in the compiler construction tool BNF Converter.